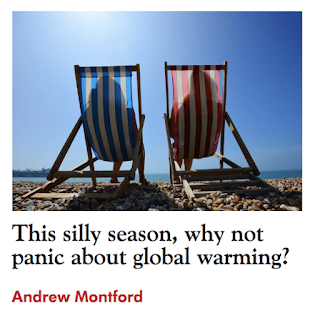 5) This Silly Season, Why Not Panic About Global Warming? Pakistan believes it may have found a way out of its long-term energy supply crisis, thanks largely to more than $35bn worth of loans provided by China under the $60bn China-Pakistan Economic Corridor (CPEC). The country has experienced years of rolling blackouts that have left residents in the dark and stifled the country’s manufacturing industries. 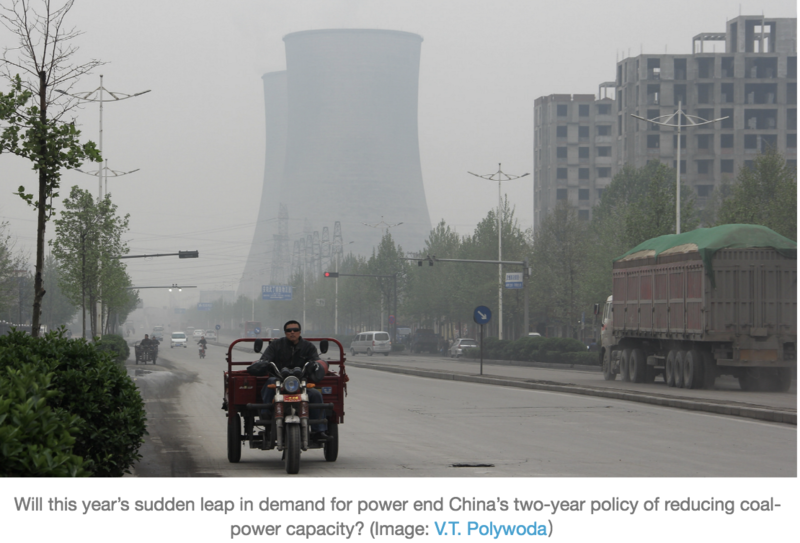 But now it is investing in an energy technology that is fast going out of fashion in other parts of the region — coal. And the strategy looks set to continue under the new prime minister Imran Khan, head of the Pakistan Tehreek-e-Insaf party. Again speaking before the election, Mr Khan told the FT he backed using Thar coal to boost the country’s electricity supplies. 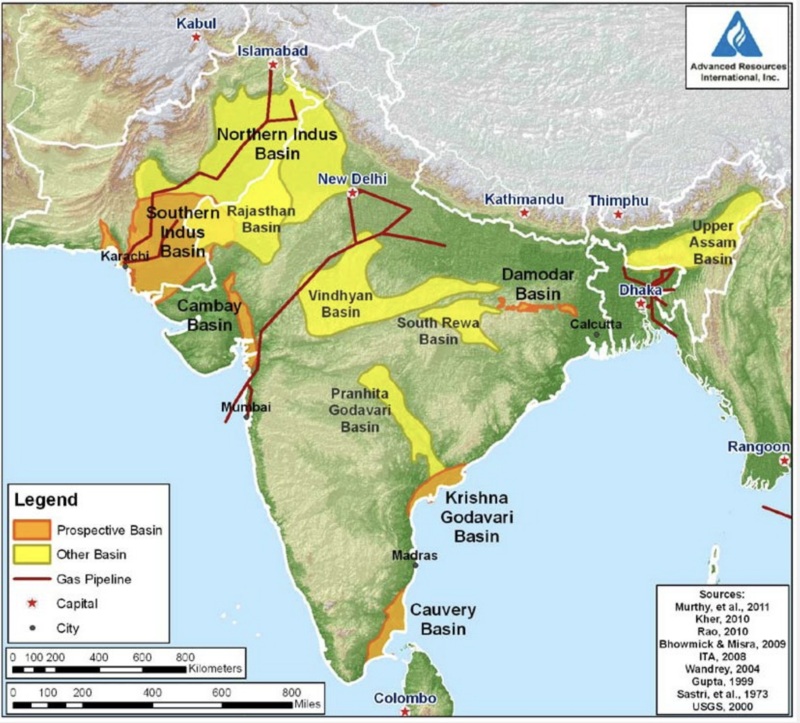 “Thar coal is in a desert, it’s near the coast, and there are new technologies which now make it possible that you don’t damage the environment,” he said. It all started so well. When the BBC decided that the good weather had gone on long enough to make it newsworthy, they invited the Met Office’s Stephen Belcher on to Newsnight, no doubt hoping that he would fan the flames with some lurid claims about how we were all going to fry in years to come. They were therefore no doubt thoroughly disappointed by his rather measured response, and his suggestion that that it was ‘probably part of natural cycles in the weather, but… superimposed on [a] background of global warming’. However, as the warm spell has turned into a heatwave, environmental correspondents in the media have been unable to resist progressively more lurid tales. 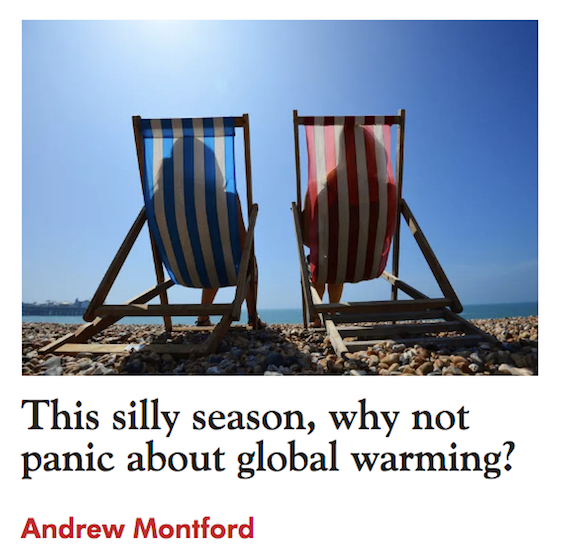 This is the silly season after all, and there’s none quite as silly as an eco-warrior in the sunshine. For example, by the end of July we had the UK media relaying, in unison, the daft claim by the House of Commons Environmental Audit Committee that there will be ‘7,000 heat-related deaths every year in the UK by 2050’. Not one of the eco-correspondents troubled themselves to examine the summer mortality figures, which are declining in the UK (as well as in countries like Spain and the USA) despite recent rises in temperatures. Then we had some positively hysterical claims about wildfires, with the Sacramento Bee claiming that such fires are ‘climate change, for real and in real time’, a position that was picked up and repeated, again entirely thoughtlessly, by the Guardian. Details about why, exactly, wildfires should be considered ‘climate change’ were rather thin on the ground, however, and the observation by the eminent environmentalist Bjorn Lomborg that there has been a rapid declinein forest fires over the last century showed why. Over at the New Yorker, they had lost the plot even more thoroughly, not only getting excited about wildfires, but also the kind of weather events that are seen almost every year, observing excitedly that ‘rains have swamped parts of the East Coast, and tornadoes have swept across the plains’. Golly, tornadoes during the tornado season? Whatever next? And who could have predicted thunderstorms in summer? Doing the rounds of the ‘professionally hysterical’ today is the tale that we are in danger of the Earth superheating with (in the words of the BBC’s Matt McGrath) ‘boiling hot temperatures and towering seas…’ (a touch of the sun, surely). The source is a scientific paper that was apparently rushed into print to meet a need: there are no new scientific findings, just a lengthy discussion of climate ‘tipping points’, which are little more than idle speculation and were largely dismissed in the last international assessment of the world’s climate. But the scientists involved are no doubt happy to get their names in the press and the journalists are happy to have something to write about. And that’s the problem of course. This sort of super-hyped eco-nonsense used to be the preserve of the wilder writers on the eco-journalist beat: the Guardian and the Independent and the like. But as reader numbers have dwindled and eyeballs turned elsewhere, the rot has spread, and now every newspaper and TV station, from the FT to the Sun, is trying to pull off the same trick: photocopying the wildest eco-shlock press releases from both greens and academia, while keeping the fingers crossed that nobody notices that it’s largely unsubstantiated. But people will notice, of course, because you can’t fool us all of the time.